So what do you picture when you see or hear the phrase “wise men?” A lot of you, I suspect, had a flash of a nativity creche: Mary and Joseph huddled over an infant resting in a feeding trough; clean-cut and respectable shepherds coming in from the fields with their flocks in tow; a trio of multiculturally appropriate men in kingly garb approaching the barn on camels with their gifts in hand. Sadly, a lot of that just doesn’t fit. But since we’re past the Christmas season and about to celebrate Epiphany, let’s focus on those three kings, shall we? For starters, let’s jettison the whole “kings” bit. The old Christmas carol may call them that, but they most likely weren’t royalty. That’s a much later tradition that crept into our telling of the Christmas story. And while one gift per person makes sense numerically, Matthew doesn’t go into details on precisely how many there were. He simply uses the plural for the term, meaning that there were more than one. Could there have been three? Sure, but there could have been twice that many. Or ten times that many. Or just two. All well and good. But I recently encountered an interesting thought about the wise men. It could be argued that basically nothing we think about them is correct. They weren’t kings. There (maybe) weren’t just three of them. And when you come right down to it, they weren’t all that wise. Stupid move. Matthew tells us, “When King Herod heard this he was disturbed, and all Jerusalem with him.” Of course the people of Jerusalem were disturbed. Someone just suggested that there’s another contender for Herod’s throne. People knew that when Herod got paranoid, blood started flowing. Herod had a definite body count of people whom he thought were plotting against him in some way. Now these “wise men” show up and basically stir up trouble by planting the idea that there’s another claimant for the throne in the area. People are going to die and it’s because the wise men were not wise in how they approached the king. Let’s also remember that Herod apparently was able to trick the so-called Wise Men. He sends them off to Bethlehem, asking them to report back to him so he too can go and worship Jesus. Thankfully, the Wise Men didn’t do that, but the only reason why seems to be because God sent a dream to clue them in to the deception. The implication seems to be that, had that dream not occurred, the Wise Men would have gone back to Herod. 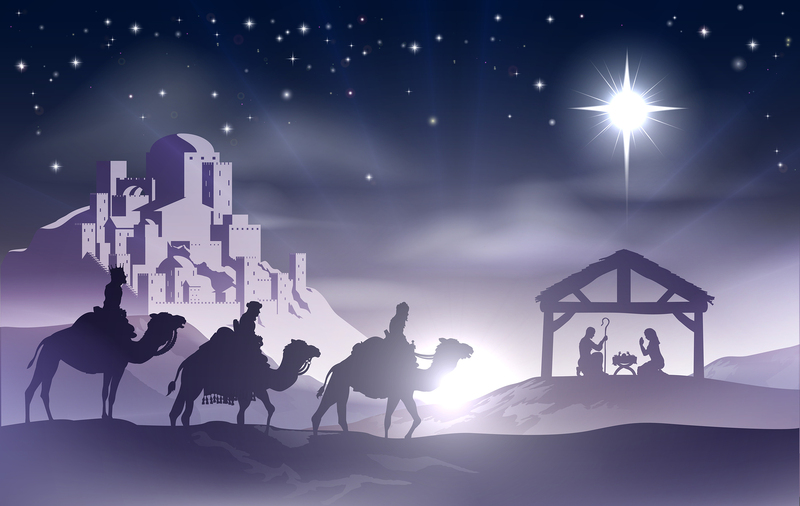 The wise men seem dumber than a box of hair when you come right down to it, and that’s actually in keeping with the way “wise men” are usually portrayed in the Bible. Think of the guys who took on Daniel and company in Daniel’s book. They may have been considered wise by Babylonian standards, but they were morons when compared to God’s standard. The same thing, I think, is true when it comes to Matthew’s wise men. They may have been crack astrologers (given their penchant for studying the night sky), but they were a group of knuckleheads. And thank God for that! That means that no matter how full of ourselves we may become, thinking we have the world all figured out, there’s still room for us to come to Jesus. The key is to stop trusting in our own wisdom and instead, rely on the wisdom that comes from the fear of the Lord. That is a great gift, one that comes from God Himself. May we, like the “wise” men before us, continue to seek out Christ and to bring ourselves before Him. I’ll cut the Wise Men some slack for not being completely up on Judean politics at first. Herod liked to style himself a devout Jew when it suited him (rebuilding the Temple and all), so I can see why outsiders might think he’d be aware and receptive to news of the Messiah, an integral part of Jewish teaching and heritage for centuries. Once they’d met him, though, I think it would be obvious he was not the guy to join in worshiping the new king on the block. I posted a review of a book about the Magi today on my blog. You might enjoy it: good combination of speculation and heart.